In an interview with DJ Skee the self-described “King of The South” T.I. shares that he is working with several artists associated with his Grand Hustle imprint on a compilation mixtape titled G.D.O.D: The Introduction. The tape will feature appearances by T.I., B.O.B, Shad Da God, Trae Tha Truth, Iggy Azalea, Travi$ Scott, Young Dro, and other Hustle Gang affiliates. “You don’t like T.I., that’s fine. 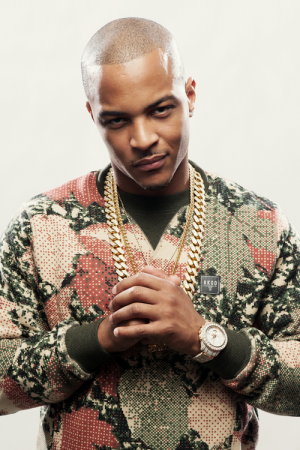 There’s somebody over here [on Grand Hustle] that you gonna like,” says Tip who also announced he plans to drop the project in four weeks. T.I. started Grand Hustle Records in 2003. Besides the aforementioned artists, the list of performers that have been connected to Grand Hustle include 8Ball and MJG, Killer Mike, Meek Mill, DJ Drama, Ricco Barrino, Chip, Big Kuntry King, Alfamega, and Young L.A.